The skincare industry is rapidly advancing and the pursuit of healthy, clear and younger-looking skin is now easier to attain than ever before. With the increasing popularity of skin devices, tools and gadgets, many of which were only available for use by professionals, now can be purchased without a license and used at home. I’m regularly asked for my opinion on skin devices. Are skin tools good or bad to use on my face? Which device is the best? Are they giving benefits or are they causing any harm? What kind of results can I realistically expect to see? Should I be using a skin device or tool at home? Yes. Some can definitely be helpful and others may not be. When it comes to considering the use of a skin device, it’s important to know that many of these are less strong variations than what professionals use. However, some of them can play a good supporting role in achieving your skin care goals. But first and foremost, there are other things you absolutely must get right or else it will all be a wasted effort. Before you purchase a home skin device, please consider this. My general belief is that with anything in life, you have to determine where your time is best spent. Time is a limited resource, so you want to spend it wisely and this is certainly the case when deciding whether or not you should invest energy into using a skin device at home. As an esthetician, I will always guide my clients towards what might provide the best improvement and I hope you have a relationship with a trusted professional that will do the same for you. Your first focus should be on perfecting your skincare routine. Use products formulated exclusively for the needs of your skin. After all of these years and the amount of awareness we now have about the skin, I’m still amazed at how many companies still promote the standard dry, normal and oily skin types. Or try to say a product is “one-size-fits-all” and “for all skin types”. For real? You mean a teenager with blemishes can use the same product as her 75-year-old grandmother? Ridiculous. Look at these nine skin types and take my Skin Type Quiz to find out what your skin really needs. If preventing the visible signs of aging is a priority, you need to be using a prescription retinoid or product with retinol (vitamin A). The thing with many of the skin devices is that many of them are new and we just don’t know the long-term results just yet. However, with a retinol or retinoid product, these have been around a long time and are absolutely backed by evidence of their efficacy. I’ve been working with these ingredients for 30 years. Next to sunscreen, a vitamin A product is definitely a skin-smoothing, pore-refining, line-softening game changer. Read my beginner’s guide to using retinol or prescription retinoids. Educate yourself with tips, tricks, and expert advice. There is a lot of misinformation out there so you really need to learn the most effective ways to care for your skin with products. Read these 34 tips to get your best skin ever. You get the idea. Your skin care routine is everything as is good lifestyle choices. Get those perfected and then you can consider getting a skin device for a boost of results. 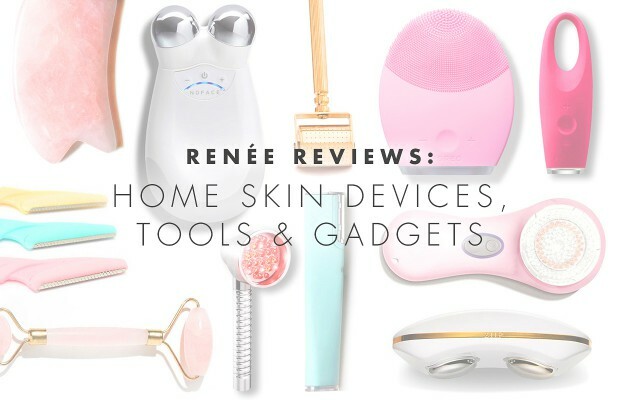 Renée, how are you forming your opinions on skin devices and tools? How I base my opinions is the fact that over the last 30 years of my career as an esthetician, (I enrolled in beauty school three months after graduating from high school), I’ve been within three inches of thousands of faces, often times through a magnifying glass and usually for over an hour at a time. In addition, the in-depth conversations and feedback from my clients have been so valuable. The combination allows me to come to some solid conclusions on just about everything related to the skin. In addition, I have so many colleagues who are scientists, chemists, estheticians, beauty editors, cosmetic nurses, dermatologists and cosmetic surgeons so we’re constantly having conversations about what’s going on in the skincare industry. Plus, my own training with cosmetic chemistry at UCLA, and all of the various research studies I read as well as all the things that I experiment with on my own skin. I’ve seen and learned a lot, but I certainly will never claim to know it all. I’m open to new ideas and passionate about continuing my education and many times my opinion can change based on new findings. The opinions given below are my own and the difficult thing is, if you talk with another skin professional, you might hear the polar opposite of mine. The goal of my blog has always been to make you smarter so you can make informed decisions. I sincerely hope this post does that for you or at the very least, gives you a new way to think about the choices you are making for your skin. Is a microcurrent skin device good to use? Yes. I highly recommend microcurrent as it can give a tighter, firmer look — as long as you’re using it regularly. Microcurrent is essentially a more sophisticated version of electric muscle stimulation. The current will contract and strengthen weak muscles that have atrophied with age. (Keep in mind it works on the muscles and not directly on the skin so if you are someone with a lot of sun damage and have very loose, flaccid skin, it may not help much.) Microcurrent will never take the place of a traditional facelift but it certainly could prolong the need for one. To get the full results, it must be used consistently. Follow the manufacturer’s instructions. My personal experience with electrical muscle stimulation. In the early 90s, one of my clients suffered from Bell’s palsy during her pregnancy. This is a form of facial paralysis where the muscles atrophy usually on just one side of the face, causing a visible drop in that side. My client was devastated. Not only did she have a hard time eating and drinking, but she was so self-conscious about how her crooked face looked that she would barely leave her house. I had her come see me three times a week to get electrical muscle stimulation procedures performed. (Totally painless, by the way.) Within six weeks, she was almost back to normal. Her doctor was shocked at how quickly her face rebounded that he then referred many of his patients to me. Trust me, it works. I do have a NuFace device but I’m not too consistent about using it. Note to self to start using it again! Is a microdermabrasion skin tool good to use? Personal microdermabrasion machines like one made by PMD uses a crystal disk that physically lifts and buffs away dry, damaged cells. These are somewhat similar to how professional microdermabrasion machines work. The goal is to never over exfoliate the skin as you’ll cause damage to your skin’s protective barrier so you have to go easy with a microdermabrasion device. (See how microdermabrasion can go wrong!) I suggest using it no more than once a week and not on days when any acids are being used. Read my beginner’s guide to exfoliation. Is a LED blue light therapy tool good to use for preventing and healing acne and blemishes? Yes. It could help some people but for others, they may not see improvement. If you want to try using blue light therapy, it’s not going to give results with just one treatment. You’ve got to be ready to commit to using it for at least a month to really determine if you’re getting increased clarity on your skin. What is another alternative for clearing blemishes than blue LED light therapy? In my experience, when blemishes appear, topical spot treatments work far better and are much more tried and true. This is because you can use the right type of treatment with the right type of ingredients during the right phase in the life cycle of the blemish. It’s why I created this comprehensive Zit Care Kit with all the products and tools you need to get it to go away fast including a product to help minimize the scarring leftover. With spot treatments, you can target a specific blemish and it takes you only 10 seconds of effort. In the case of Neutrogena’s blue light therapy mask, it requires 10 minutes of effort per day. Also, the blue light therapy mask covers the entire face and you will be potentially drying out non-broken out areas — which is NEVER a good thing! In the case of adult acne where they only show up occasionally and in specific areas like the chin and jawline, it would never make sense to use it all over the face. You may be comprising your preventative aging efforts. If you’re into reading scientific studies, this one is about blue light therapy. Is a LED red light therapy tool good for reducing wrinkles and increasing collagen production in the skin? Yes. It should be. However, it can be hard to tell if it’s working. Similar to blue light devices, there are ones that have red LED. The first use seems to be by NASA scientists who discovered that plants could grow in space when exposed to it. That’s pretty impressive! When used nowadays in home skincare devices for the face, it is being promoted as “healing” to help calm inflammation from acne and rosacea. It’s also known to help with circulation and to help stimulate collagen to help improve the appearance of wrinkles. It has a lot of claims and based on what I know, I believe there is some positive activity occurring on the skin. However, the challenge is whether or not you can really see a difference. Like many skincare products, as well as a high-tech device like a red LED light, I think of it like eating broccoli. We know it’s good for us and research shows it, but you may not be able to visibly see much of anything occurring. This is why there aren’t a lot of before and after photos of red light therapy. The results can be so subtle that it might not ever show up in a photo. (Unlike other treatments like this one where the before and after is very apparent!) You just have to trust that it’s helping the greater good. I believe it is, but it does require an investment of your time so you need to decide if it’s worth it. Is a dermaroller home skin device good to use for smoothing my skin and reducing pore size and wrinkles? No. I don’t recommend them for home use as there may be a lot of overuse and potential damage to the health and integrity of your skin. Dermarollers are tools that use tiny needles to make superficial holes in the skin with the intention of allowing products applied afterward to penetrate deeper. In addition, the claims made say it also helps with acne scars, boosts collagen production to get firmer and smoother skin and more. They are super popular among skincare enthusiasts but I’m just going to say it…dermarollers put in the hands of consumers scares me to death. When I watch on Instagram where people are just happily rolling away day in and day out, it really makes me cringe. The reason I feel this way is that one of the greatest advancements I have seen in the last 30 years is the access that consumers have to powerful products and treatments at home that can truly make a difference. (For example, retinol giving prescription-like results, broad-spectrum sunscreens that don’t feel greasy, exfoliating acids that help improve almost every skin condition. And the list goes on and on.) However, a trap that people have fallen into is the philosophy of “no pain, no gain” and the all too common “I can feel it burning so it must be working”. So, now there is a home tool with needles that people love pricking at their skin and feeling a sensation that makes them think something really positive is happening. Many people who use them love it and say they get immediate results. (It’s probably due to swelling and inflammation which causes the skin to get puffy. This can temporarily make pores and lines appear smaller.) I can confidently tell you that I have seen a backlash from daily dermaroller users for those who are prone to pigmentation. I have some clients whose melasma conditions and brown spots have worsened from using it. I believe this is because the daily injury of the dermaroller day in and day out is stimulating a response that wakes up melanin cells when they really need to be settled down. (Heat can increase pigment, too. Read more about this here.) Plus, people are really disrupting their skin’s protective barrier when they overuse it which you can read all about here. What about getting micro-needling treatments performed by skincare professionals? Yes. I do think they can be very beneficial to rejuvenate and smooth tired, aging skins. Injury can be good as long as you’re giving your skin time to recover. Not only are they for smoothing wrinkles and making large pores look smaller, they can be effective for acne indents in the skin, as shown in this study. In a professional setting, they use much stronger devices and you’ll only get it done once every so often so I like the idea of giving your skin an occasional boost. I have never had a professional micro-needling treatment done but it’s on my list to get. Is a jade roller beneficial to use at home on the skin? Yes. It is a nice tool to use to give your skin a gentle facial massage. Jade rolling made of jade stone has been used for centuries in ancient Chinese medicine. The gemstone is said to draw out negative energy and balance your ‘chi.’ Aside from that, the main function is that it’s a massaging gadget. (There are also rollers made of rose quartz.) Facial massage will help increase circulation to help bring fresh blood and new nutrients to the skin cells. I’m a big believer in boosting blood flow to the face, especially as you get older. It’s why I do this 3-minute trick every night and recommend my clients to do the same. 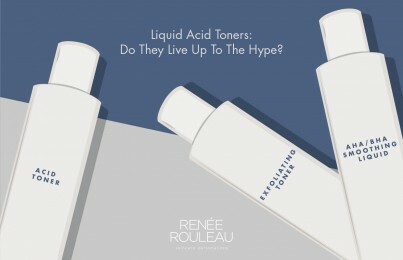 Plus, a toner like this one is great for giving your skin a nice pick-me-up to bring a glow. Jade rollers are very trendy right now. They look great on Instagram but it will fade away just like so many other skincare trends I’ve seen come and go through the years. (Whatever you do, don’t try these at-home skin trends.) The beauty industry is just like the fashion industry. We all like new things but what is once new will eventually become old. Is a rose quartz stone beneficial to use at home on the skin? Yes. It is a nice tool to use for lymphatic drainage to move fluids and reduce puffiness and swelling. You can see the rose quartz stone in the top left corner in the picture above. It’s a flat stone that is used for facial massage but due to the special shape, you can get into the nooks and crannies and perform a true lymphatic massage treatment on your skin. In Chinese cultures, using this stone and a technique known as gua sha is getting a lot of buzz right now. Like many estheticians, I’ve been trained in lymphatic massage and I know it can definitely give results. I use my hands and/or facial cupping but the rose quartz stone can work well, too. Years ago, a cosmetic surgeon used to send his patients to me post-facelift to perform massage to help aid in a quicker recovery. The key is, when doing it yourself, you don’t just want to haphazardly rub it over the face. You must know the exact way to perform this if your intention is to make the skin look less puffy. If you don’t get it just right, you won’t get much of a result or you can actually cause more puffiness. I know there are a lot of tutorials on YouTube where it can show you how to do it. I don’t have one I specifically recommend so check out which expert has the best credentials to ensure they actually have the proper experience. Lymphatic drainage massage with rose quartz stone can take up to 30 minutes if you really want to get serious about it, so you need to decide if the effort is worth the reward. Is a high frequency device good for “zapping” away blemishes? Yes. It is a helpful tool to help with a quicker reduction for painful, infected blemishes. High frequency has been used for many decades so while it’s old technology, it is tried and true as to what it can do for the face —particularly with blemishes. I’ve used it since the start of my career so I know it very well. High frequency gives off a current that ignites an argon (violet light) or neon (orange light) gas inside the glass electrode. Once the gas ignites, light energy is given off to form electricity. The oxygen in the air around the electrode is then electrified and creates ozone gas (a singlet oxygen). When “zapped” onto to a blemish, it forces an infusion of oxygen molecules which encourage healing since bacteria from blemishes can’t thrive in the presence of oxygen. Essentially, oxygen will help kill a blemish faster. If you’re considering getting a high frequency skin device to use at home, choose one with argon (violet light) as I have found that to be more effective than the ones with neon (orange) light. Note: You don’t want to overuse this device. Just zapping a blemish for 8 seconds a day while it’s in it’s infected stage is all you need. An extremely small amount of ultraviolet light is emitted when the violet electrode makes contact with the skin but it’s brief and the low level of UV exposure is considered to be safe and gives amazing anti-bacterial benefits. (You know how sunlight can help dry up and heal blemishes? Well, it’s never a good idea to expose your skin to the sun but a device like this can provide something like that benefit but in a low level and isolated only to where you need it. Lastly, high frequency plays a supporting role in helping blemishes go away faster but you’ll still want to use your regular acne spot treatments. Are sonic cleansing brushes good to use every time I wash my face? No. The action these tools are giving to the skin is that of exfoliation and using it 1-2 times a day can damage your skin’s barrier. Sonic cleansing brushes are considered to be a staple in a cleansing routine for many people but it’s important to know that it’s acting as a physical exfoliator, much in the way that a facial scrub is. Many of the companies who make these tools will recommend using it twice a day with every cleansing but would you ever use a facial scrub twice a day? Most people would think this is too much so this is how you want to think of cleansing devices. The reason why they are marketed as cleansing devices is that makeup can stick to dead skin cells so when you exfoliate, the makeup comes off. The truth is, a gentle baby washcloth is also giving an exfoliating action and will remove your makeup efficiently without damaging your protective barrier from excessive brushing. Popular nylon bristle-based devices are made from Olay, Clarisonic, Mary Kay and Proactiv. There are ones made of silicone nubs by Foreo, HoMedics, and Jafra that tend to be gentler and more hygienic but I would still not recommend using them twice a day. Read my full Clarisonic review for more detailed information. Speaking of Foreo, they make the IRIS Illuminating Eye Massager which is a massaging device promoted to help increase absorption of your eye cream. I bought one and will occasionally use it but I think it’s more beneficial to increase blood flow under the eye to help ease puffiness and dark circles. Should I be using a dermaplaning tool to shave the hair off my face? Yes. Removing facial hair including peach fuzz will improve the skin’s appearance. Dermaplaning is a procedure that promises to leave the skin silky smooth and glowing by removing dead skin cells AND unwanted facial hair (so long, peach fuzz). This treatment is offered at skin care spas and doctors’ offices by trained professionals using a metal blade and gives excellent results. Now, you can take advantage of at-home devices that provide a similar result for hair removal. Dermaflash makes a high-tech one that uses sonic vibration but you can get achieve a similar result using the disposable ones that are made by Tinkle. I’m all for “shaving” my face as it makes a huge difference in making my skin look smoother and I talk all about how it works here. Your skin is unique and every person’s skin will respond in a different way. Just like with skincare products, devices will work well for some and not for so well for others. Knowledge is power so the important takeaway with all of this is that you want to make informed decisions with everything you do to your skin but also have realistic expectations. Just like estheticians and dermatologists aren’t magicians, skin care tools are not performing magic but they can help the greater good of your skin. 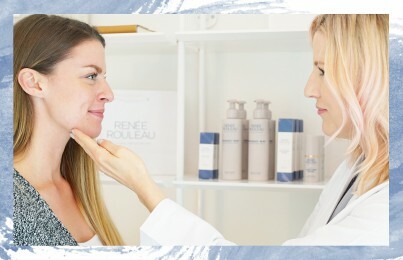 If you’re confused about how to care for your skin, you can schedule a virtual consultation with a licensed esthetician. Fun fact: I’ve been contacted by brands to endorse their tools but honestly, there just isn’t one that I feel so passionate about that I’d want to take away time from my own work to give attention to theirs. However, I’m all for innovation and anything that can help you take charge of your skin and drive the results. I am excited to see many new tools that surely will be coming out soon.